At AnharNet we offer Windows Media 9 Series Streaming with our stream-Cache CDN. Our Streaming Media Hosting technicians carry industry standard certifications such as the Microsoft Certified Systems Engineer (MCSE) certification. In addition Streaming Media Hosting is a Microsoft Certified Partner, working closely with Microsoft to beta test new technologies as well as receiving extensive technical and sales training directly from Microsoft. Windows Media Services 9 Series Live Internet Broadcasting is a convenient and inexpensive platform for broadcasting high quality audio and video content over the internet at any bit rate. With AnharNet all you have to do is, send an encoded stream and we will relay that broadcast over the internet for you. We at AnharNet.com offer the opportunity to run live/ondemand flash streaming using latest market technologies, Wowza Media server. SHOUTcast hosting is a streaming audio solution which permits anyone to broadcast audio to listeners across the internet. You basically become your own radio station, but instead of broadcasting through radio waves, you broadcast through the internet. Your listeners can tune in through any supported media player, such as Windows Media Player, Winamp, iTunes, RealPlayer, etc. Why should I have a hosted Shout Server? 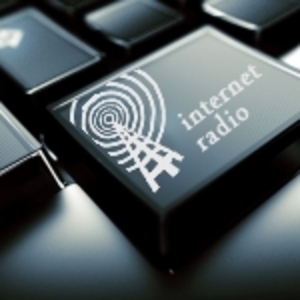 Streaming internet radio is one of the fastest growing and most exciting areas of the internet. Now anyone may quickly and economically run their own radio station to advertise their musical creations or enjoy the songs of their favorite artists. Due to our easy to use web-based interface, no prior knowledge on the working internals of ShoutCast is necessary. Also, streaming audio takes up a lot of bandwidth, often much more than you can support off your home internet connection. Our stable servers and high capacity bandwidth take over this strain and enable you to broadcast at a higher quality and support more listeners. Copyright © 2003 - 2019 AnharNet.Com. All rights reserved.